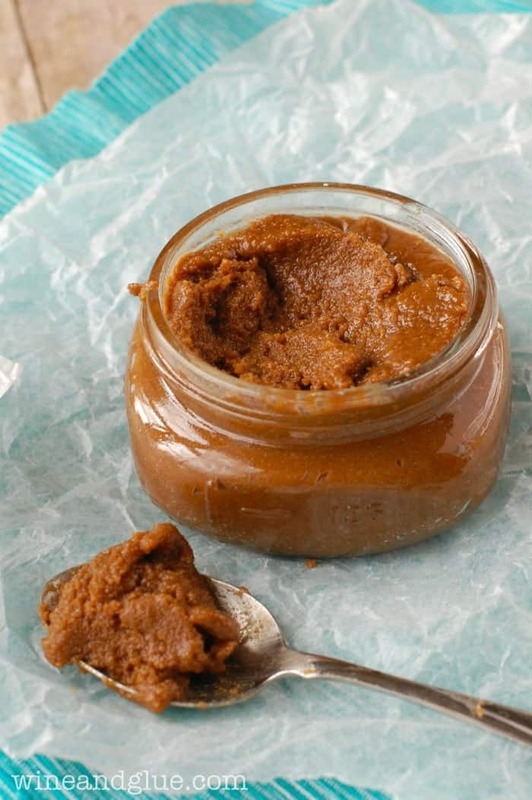 Homemade Cookie Butter! 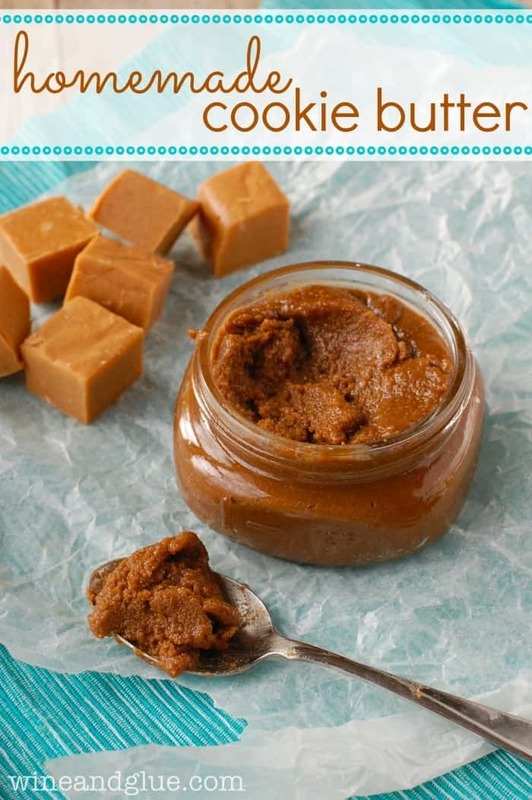 Now you can make all the great Cookie Butter recipes even if you can’t find it! Every time I post a recipe using this beloved, delicious, ridiculously good jar of amazing, I get this question. At least once, very often more than once. What is Cookie Butter? Where can I get it? Why haven’t you entered a 12 step program yet? Here’s what I always tell people. Think about peanut butter. Now take out the peanuts, and put delicious ginger snapish type cookies in it’s place. There. Cookie Butter! You can find it at Trader Joe’s labeled Cookie Butter. 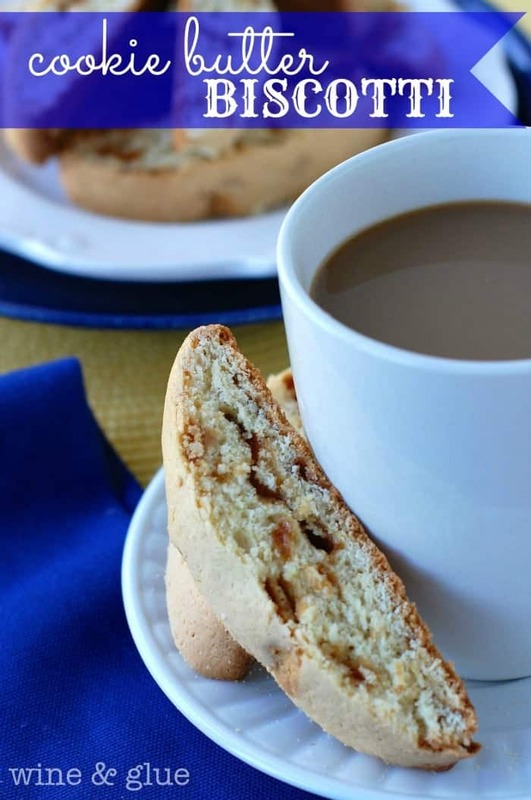 You can find it at WalMart, Target, Walgreens, and anywhere that has a decent international section of food (like say World Market) as Biscoff Spread. I should note that I haven’t actually used the Biscoff Spread before, but I hear that it is pretty much the same deal as Cookie Butter. On my most recent recipe using Cookie Butter, I had a reader from Canada ask if there was anyway that she could make it at home. I thought about two of my favorite dessert bloggers, Ashton and Dorothy and their recipes using home made butters made from cookies, (here and here) . . . and I decided to give it a whirl! 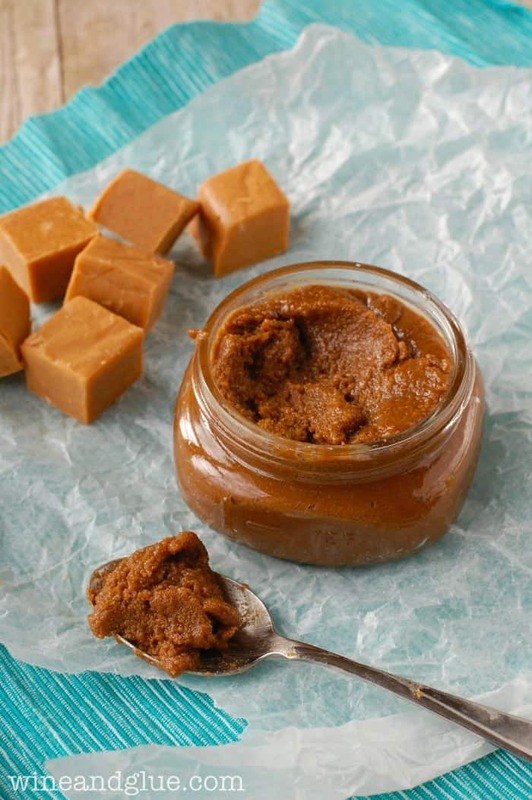 A couple things about this Homemade Cookie Butter. 1. The consistency does not even come close to the original. Like night and day different. I could sit and eat the store bought stuff with a spoon (and I have), but this, while very tasty is a little too grainy for that. As Ashton mentions in her recipe, letting it sit overnight helps that, but it’s not going to change it completely. 2. I used ginger snaps that are very much like biscuits. Very hard and dry little cookies. I was going for a cookie that is similar to the Biscoff cookies that you get on Delta flights, the ones that Biscoff Spread is made from. (The reason I used Ginger Snaps and not Biscoff Cookies is because I figured if you can find those, you can find the spread.) 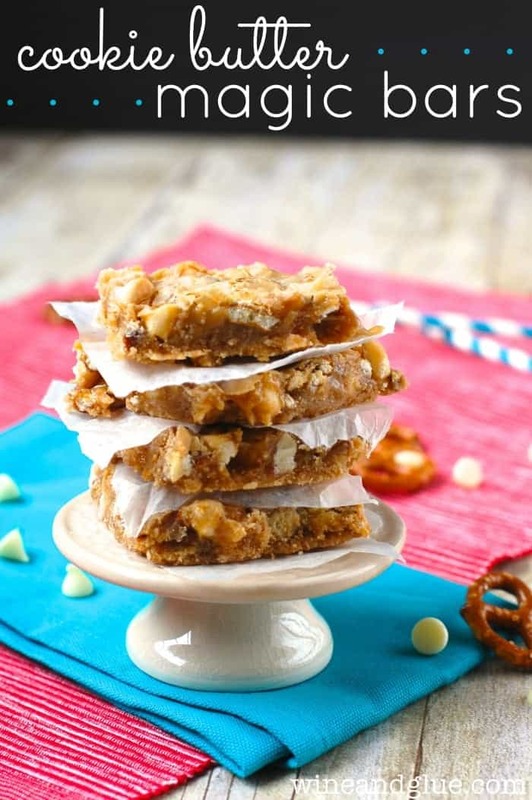 So if you were to make this with a homemade ginger snap, the results could be very very different. You want a very dry cookie. 3. Though grainy on it it’s own, the flavor is right! 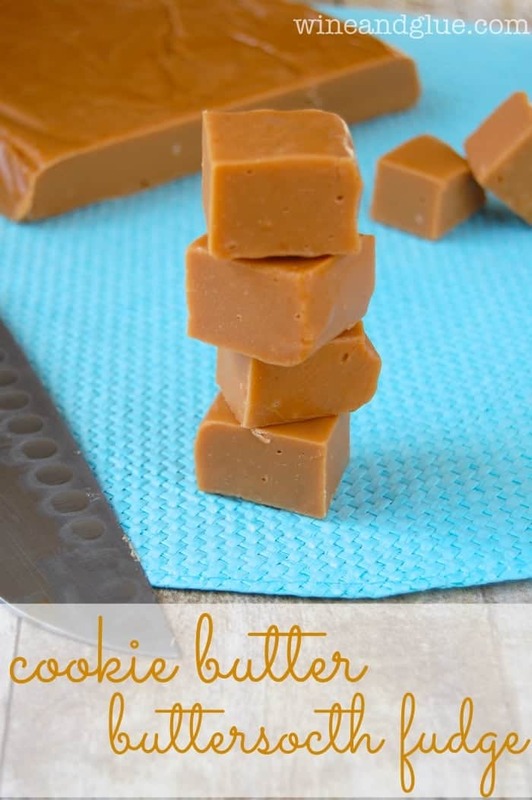 I made a batch of my Cookie Butter Butterscotch Fudge with this (pictured below), and it tasted almost exactly like the original, and the grainy texture of the Homemade Cookie Butter wasn’t an issue at all. Grind the ginger snaps in a food processor until they are very fine. Add the vegetable oil slowly and let it fully combine with the crumbs, scraping down the sides of the food processor as needed. 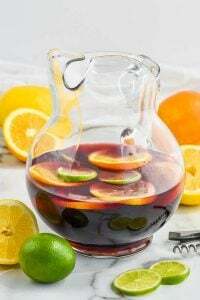 Put in a mason jar or other container and let sit for several hours (or over night) before using in a recipe. Made with the help of this Oreo Butter Recipe and this Graham Cracker Butter. 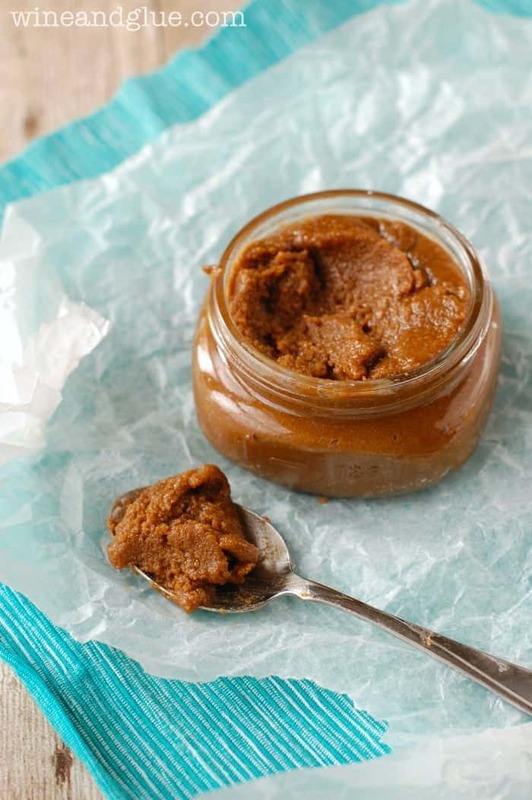 Looking for ways to use your Homemade Cookie Butter? Looks great and i love ginger snaps so I think this is definitely something worth trying!! Thanks for this! I moved away from Trader Joes up to Canada, so I appreciate having such a delicious homemade option! My friend was just asking me what cookie butter was so I sent her this post! 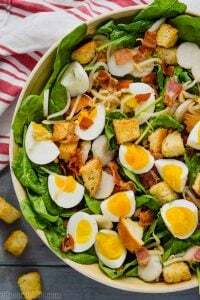 It looks amazing – yay for the homeade variety! When I first learned of Cookie Butter… I was in heaven. But them Trader Joes ran out for a few months. They decided not to make it seasonal and have it year round. Now there is chunky cookie butter and cocoa cookie butter… It’s amazing. I often eat straight out of jar w/a spoon. It’s tasty mixed with PB too. I’m sure it defeats the purpose, but Trader Joes sells the cookies cookie butter is made from. If you want to make your at home butter with them. But your links to Oreo butter and Graham Cracker butter just opened a whole new world for me. Thanks!!! 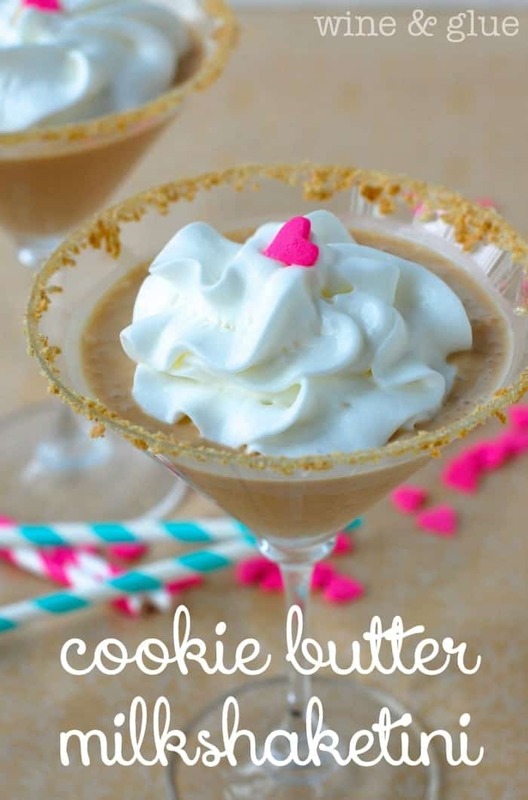 I’ve been wanting to make homemade cookie butter and this looks awesome! Thanks for the note on the grainiess (though I’m glad it doesn’t affect the delicious flavor :)! I was just thinking I needed a new jar of cookie butter and I totally forgot to pick some up when I was at World Market yesterday. I’ll have to try making my own! Recipe is pinned! Such a great idea for anyone who can’t find cookie butter!! Thank you for sharing! I’ve often heard of cookie butter but had no idea what it really was. It sounds…scrumptious! I, like so many others, have never heard of this before. It sounds yummy! I am wondering if using a gluten free ginger nap (or any other GF cookie) would make any difference in the final product? That is a great question Peggy! I don’t have a ton of experience with gf baking. BUT! 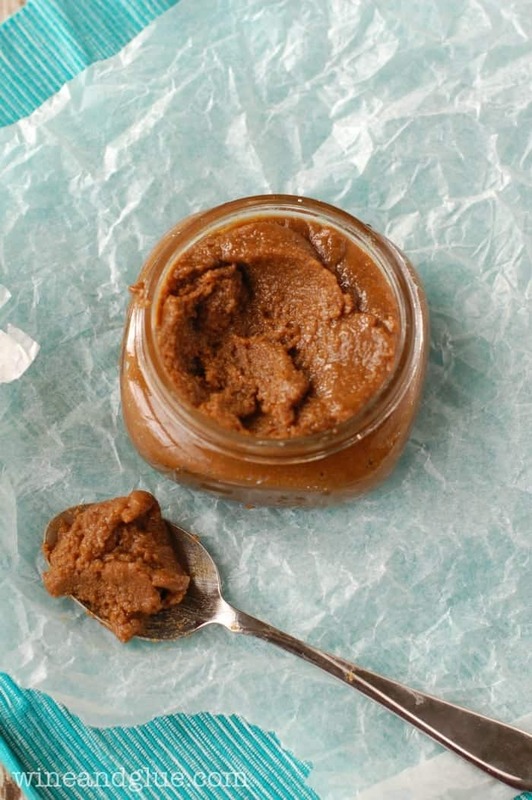 I would think that you could get similar results, especially because when making the Homemade Cookie Butter, you are aiming for flavor WAY more than texture. So, if you have a gf ginger snap that you like, I would say go for it. I was in Costco this week and would you believe, Biscoff cookies and cookie butter samples galore. It was heaven. All your recipes mean I’ll be making yummy treats for the family and my hopes of losing a few squashed. I just can’t say no to cookie butter. Do you think coconut oil could be used instead of vegetable oil? 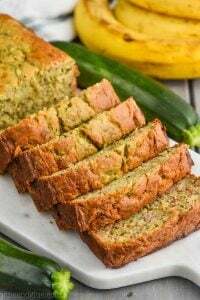 Sydney, I have never used coconut oil, so I don’t know enough about it to know how it would work in this recipe. Sorry! If you give it a shot, let me know. 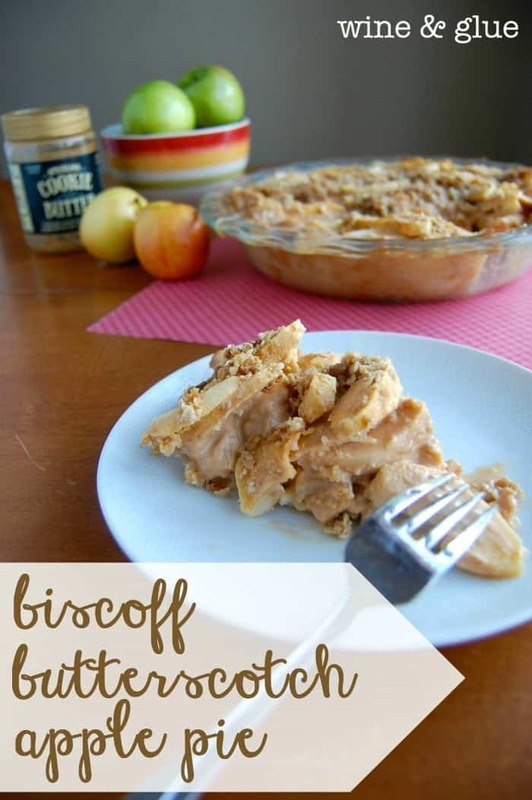 Biscoff is more of a brown sugar sweetened graham cookie butter but without ginger. TJ’s cookie butter does have a gingersnap taste and it seems more robust with the coconut that they add. So I adapted my own cookie butter with coconut oil and half graham crackers and half ginger snaps which makes the butter much smoother. I am so glad to find another cookie butter addict! I purchased many jars of Biscoff European Cookie Butter to give to others as gifts for Christmas. After my first taste I realized I wasn’t sharing with anyone! Of course this addiction does not help my current plan to lose some weight, but I figure a little each day can’t hurt! Thank you for your recipe! I worried when my supply ran I would be hungry and also out of gifts for my family. Problem solved- I will make your fantastic recipe! Can’t wait to make it soon, and so glad you too have such cookie butter love, as your recipes made with it are amazing! What is “cookie butter” used for? I’m almost 72 years old and never heard of it before. Hi Carolyn! 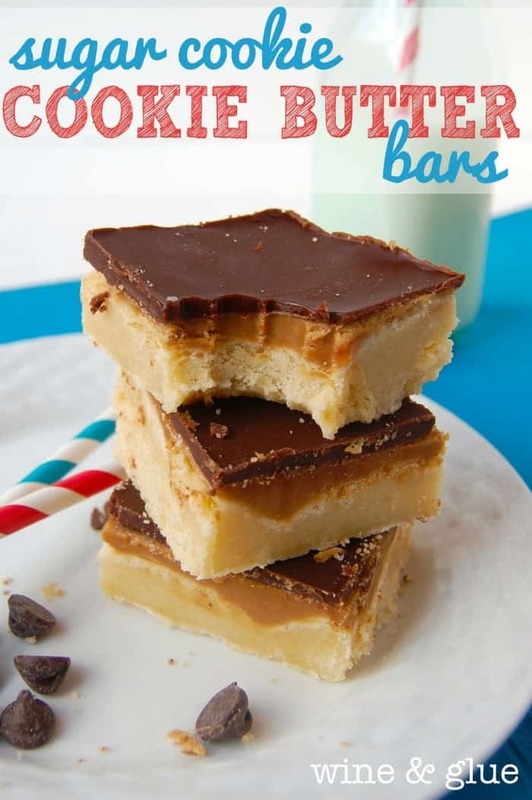 At the end of the post, I link to several recipes that I use Cookie Butter in. 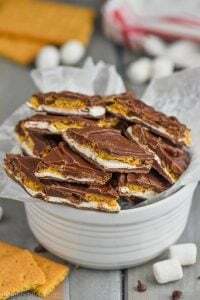 I also have a whole section on my blog in the drop down under “TREATS” at the top of my blog that is called “Cookie Butter” All Cookie Butter recipes. Happy baking!